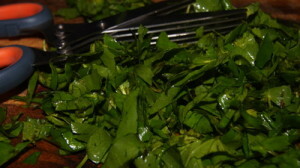 Though you can make with any leafy vegetables, I am making centella / thankuni pata. 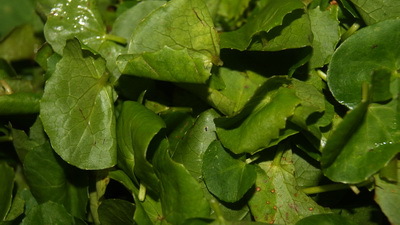 Centella is very authentic Bangladeshi leafy vegetable. I want to introduce or remind it. 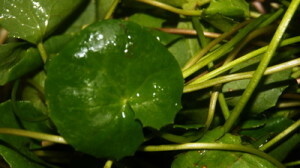 Centella is a medical herb. It is a mild adaptogen, mildly antibacterial and can act as a cerebral tonic and useful in the treatment of anxiety. 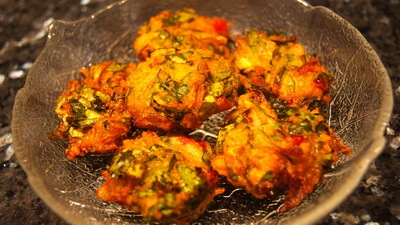 Thankuni Patar Bora / Centella Fritter is very simple snack. Hope you guys will love this simplicity of this recipe. 1. Wash lentil and soak it for at least half hour. Strain lentil and make coarse paste of it. 2. Mix well onion and salt together first. 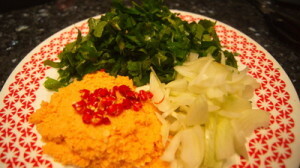 Then add rest of ingredients together and make flat balls. 3. Heat the oil and when oil is ready, fry fritters on medium heat till it becomes golden brown. 4. 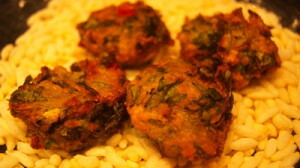 Enjoy Thankuni Patar Bora / Centella Fritter with puff rice or as it is. Where did u get Thankuni pata in Australia from? I am in Canberra and would love to have them if available in Asian shops or elsewhere. Awaiting your reply.. Sorry for late reply. 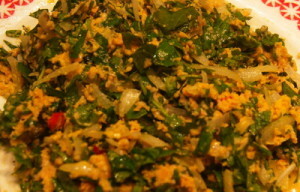 I got this from Vietnamese vege shop. but you can find it Bunnings. It is called Pennywort (Arthritis herb). If you cant find in you local Bunnings , you can order in there for this. they will bring this for you. Thanks.